Our mobile app is available for Android devices from the Google Play Store, and for Apple devices on the iPhone App Store. 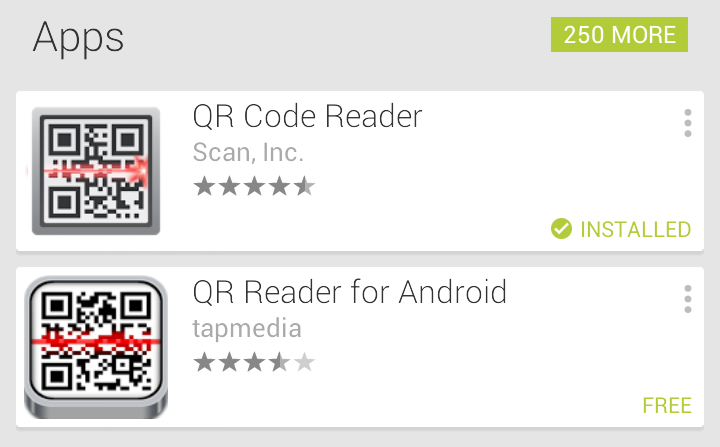 Within the Google Play app store search for "QR reader" and download any one of the apps that suits you. Later, in Clocking In/Out you will learn how to scan an ID card using one of these apps.